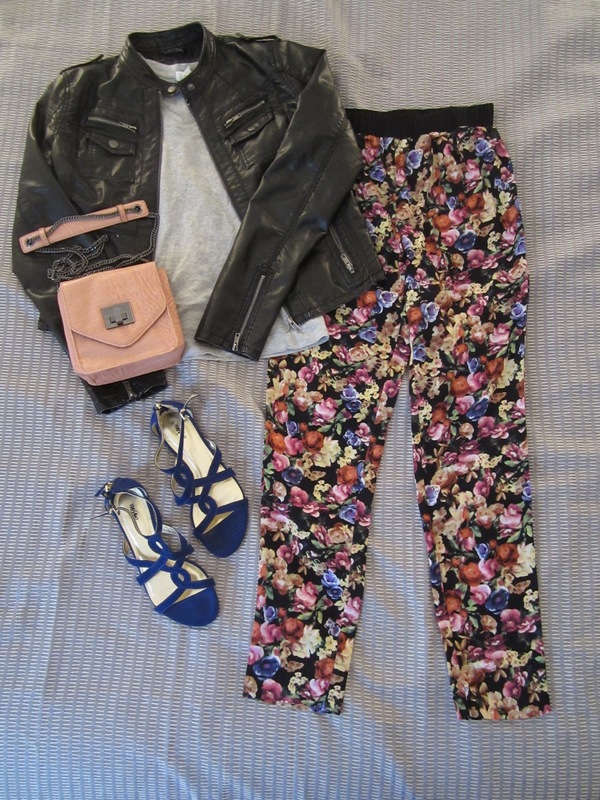 I am seriously in love with the floral pant trend happening right now. They are literally everywhere on the runway. Buying them is easy, styling them, now that’s a tougher job. 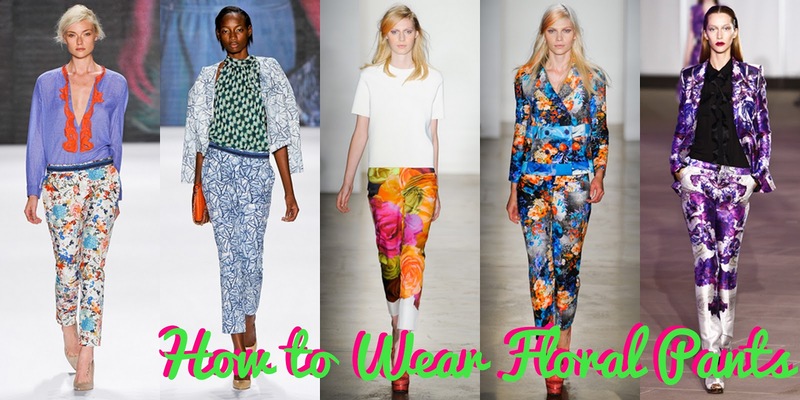 Here are a few of the ways I style my floral pants that I purchased from Forever 21. For those more laid back days I paired the floral pants with a sweater cardigan and a v-neck tee. Since I pulled a color from the pants in the shirt, I went with a neutral brown gladiator. A denim button up is a staple piece in anyone’s closet, and it’s a perfect match for these pants. I added a statement necklace and a mint purse for some color. I really love these light brown wedges and they paired great with this outfit! Mint is a love of mine and I really liked how this half sleeve top looked with the floral pants. To add some excitement, I added a huge statement necklace and some jeweled and studded gladiators. Comfortable and casual. For a more edgy look I chose a black leather jacket that I love and kept the top simple with a gray v neck t-shirt. For accessories I chose a bold cobalt blue pair of sandals and a pale pink cross body to add some color. For my last look I went with a girly, feminine feel with a touch of studs. Up top I decided to pull the purple from the pants and use it for the v-neck, then put a flirty lace 3/4 sleeve jacket over it. For accessories I chose a brown faux leather messenger bag, and my favorite part of this outfit is the black studded flats I’m obsessed with. If you decide to brave the floral pants hopefully these outfits help you with your dressing dilemma!